Everytime I say to people that I am learning Chinese language I get this crazy stare on people’s faces. Still do not know why, because for my the language is so beautiful and very logical. Maybe because I teach Chinese martial art, it is easier for me. Its probably due to discipline I have aquired through the ages of practicing. Many people still cant get the fact that discipline is more important than a talent, and that is probably why they think learning to speak Mandarin is hard and impossible task. Because of the first-look difficulties studying this language, many people ask me what is the best way to start learning Mandarin Chinese??? I often explain that there is no best way or wrong way. Everybody is different, everyone has unique way of thinking and the hardest part is to find the best language learning method for you. But there could be some things you need to consider… maybe I can call the secrets of language learning, but maybe the word secret is way too esoteric. So during these months I really have read and discovered almost any method out there and I have to say all of them will work if the person who decides to study the material will actually take the time and effort and really start putting things into the action. Because just by reading it once and do nothing with it wont work… we still do not have the power of learning like Neo had in the movie Matrix, just uploading kung fu software and here we go… Neo become ultimate fighting machine. I wish it would be that easy though. But we have to still stay in reality with both feet on the ground and use what is still our most powerful weapon in terms of learning anything — “our brain”. 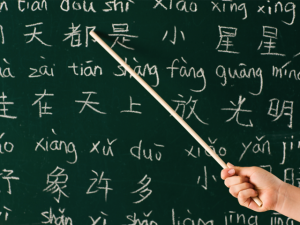 How Brain Helps Us to Learn Anything, Even to Speak Mandarin Chinese? Sometimes I think people are using their brain incorrectly or maybe they still have no idea how it works and how to operate it to much higher potential. Too bad it does not come with an instruction manual, so we can read it as soon as we know how. But it turns out we dont really need manual. When we are just new born kids, we are completely blank and just the power of our brain we are able to learn a lot of new things, a lot of languages. For example my daughter was born into a tri-lingual family. So by the time she was 5 years old she could use English, Czech and Spanish language easily. Now she is 10 years old and can switch from one language to the other without even thinking. And yes, you can do it too! Just realize how your brain stores information and based on that you will design a learning program that will stick inside your brain and more importantly, you will find it easier and easier to learn anything after that faster and faster. 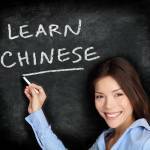 Let Your Brain Learn Mandarin Chinese! But after you read this, you will see that your brain is really the only tool that is capable to learn anything for you. You just need to feed it the right information. You see, during the day, your brain get tons of information. I think you cant even know exactly how much info it processes per second. Its really fast. But it is not about how fast or how many thousands of things it can process. 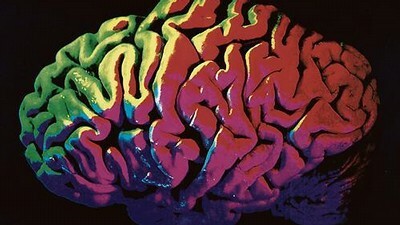 The most important thing is — what your brain can retain and recolect anytime in the future! Because at the end of the day, when you go to sleep… you brain is still working. What it does is sort out through all the information you have acquired during the day and tries to remove garbage or not so important information and tries to keep only the most relevant or important information for you! In plain words, if you want to remember something… like for example now you are trying to learn to speak Mandarin Chinese… you need to show your brain that this is the information most relevant and important to you. As soon as your brain realizes this, you will see how fast you can achieve your goal of speaking fluently Chinese or any language for that matter. Through my years of learning and teaching other martial arts and also learning many languages on my own, I know how to make my brain to understand what is really important and my brain then helps me out. Jus t understand that there is still work need to be done. You will still do a lot of training. But that is needed in any sport, art or any other endevoar you will do on this planet. You think that famous boxers, NBA players, musician are famous just because someone had a itch to help someone? Thats how people get good. By doing things… not just reading about it. 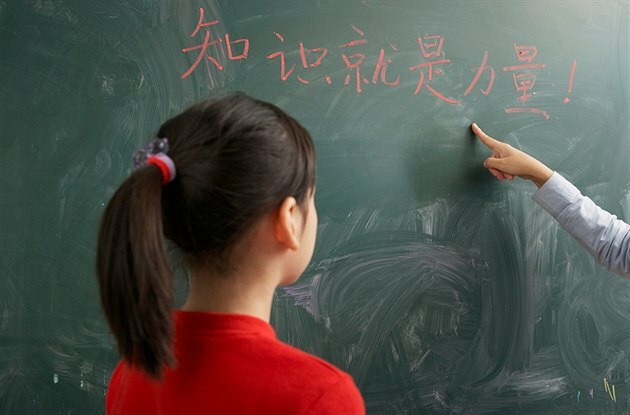 What Is The Easy Way to Learn Mandarin? You just need to do Mandarin a lot…. And now I will try to tell you more about how you can do it in a complete natural way, without forcing yourself too hard or without any tricks that might work short term only. I do not want to tell you how to really learn Chinese, because I do not want you to think that this is the secret formula and if you do it, you will learn it in just couple weeks. But I will tell you how did I immerse myself and found it very helpful, even if I do not live in the Chinese speaking countries and do not have Chinese speaking people walking around on the street all the time. 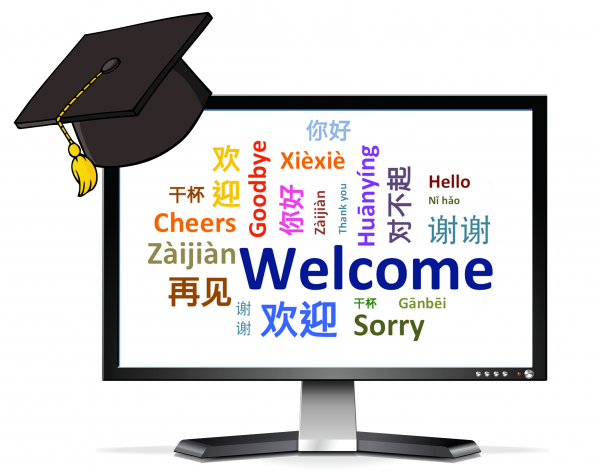 Get the most useful Mandarin learning materials and tools. Start practicing from the day one. Listen Chinese pop songs and watch movies in that language. Get books with simple stories, could be even kids stories. Instal Mandarin Chinese keyboard on your PC and phone or tablet. I could probably go on and on, but you probably get the idea. All of this I do and you should do as well is that you need to see Chinese everywhere and slowly convince your brain that this is what you really all about right now. Even by listening song or watch movies in Mandarin is great — and yes, you do not need to understand a word. But just by listening, your ears will start feeding the brain with the idea of this new language. And by doing this, you will convince your brain to pay attention, so as soon as you start learning a sentence in Mandarin, your brain will pay attention. After the whole day, when you go to sleep. Guess what your brain will do??? Yes, it start to realize that this Mandarin Chinese is on top of your mind all the time and it will make sure that it stays there. All you have to do is keep feeding your brain, every day. And for that you need to feed him the right information. And that is why I have come up with my list of the best tools, resources or materials that will do just that. These are the one I have selected from hundreds of options and 8 months of research, so you do not have to. And I use them all every single day. First is here to listen the language and repeat after the speaker. Learn how the characters look like and how to read them. Create your own sentences using easy to remember grammar rules. Of course it all depends on your needs and goals. But I believe in learning to speak first and later to write. Even when kids are born they have no idea about reading or writing. They simply start talking and later learn to read and write at school. This is one of my favorite programs of learning to speak Mandarin. It was created by polyglot Michael Campbell who lives in Shanghai and speaks many languages. His Chinese is so good that many people thinks he is native mandarin speaker. This method of training is the one I use every day. It comes in 3 levels of fluency and each level has 1000 Chinese sentences, ranging from easy and simple to remember sentences to more complicated structures and grammatical patterns. All 3 levels have 3000 sentences with gradual progression system from A1 to B2 Levels (CEFR). This will help you to fluently use around 4000 words in the real world using collocation drills. Which is enough to have a normal conversation, understand what is being said on TV or watch a movie in Mandarin. If you are serious about speaking the language, you really should have this as number one tool for your learning. You can read more about how it works on Glossika official website here. What I like about this is that the people behind ChinesePod are great teachers and really know how to engage the listeners (students) to study in a very natural way. Their lessons are short, grammar is explained in the most simple and undestandable way and yeach lessons have an exercise, where you can see if you have understood the lesson. They have the largest online video library of lessons ranging from total newbie to advanced students. This is the best way that you can immerse yourself into learning Mandarin Chinese in the comfort of your own home. Also you can download the App to your smart phone and listem, review and learn new material on the go. Highly recommended this for any Chinese student of any level. Here you can sign up for free 100 lessons to see how unique this library is. What I really like about iTalki is that you can sign up for for Free and get 100 credits toward any professional one on one lesson or find speaking partners and do language exchange. So if you speak English, you can just find a native Chinese person wanting to learn English and in exchange they can help you with learning Chinese. Its a win win situation. They have many teachers as well, so you can have a professional feedback and explanations on various topcis that you are interested in. You should create an account here and check out all what this site has to offer to you. The sweet thing is that the free 100 credit they give you on signing up page are stored and does not expire, so you have a time to try before you buy lessons. This is probably the best app for learning Mandarin Chinese language. The app itself is free and can be downloaded from Google Play or Apple Store. But I recommend to get the upgrades. That will give you a pocket dictionary, character stroke order for learning to write characters, pronunciation, flashcard system with space repetition system and much more. You will be able to use any free minute to learn something about Chinese and your brain will always get some type of intput. The best think is that soon, you will start recognizing characters, practice pronunciation and much more. Visit Pleco website to see what else it can do for your language learning. Anki is free program that can be accessed from PC or smartphone. Basically is a simple space repetition program, where you can upload anything you want to learn and with its unique algorithm it will help you to learn new things and add them from your short term memory to a long term memory. Anki has thousands of users world wide and many of them have created so called “decks” for any topic you can imagine. For learning Chinese I use “Spoonfed Chinese” deck, which has a lot of useful sentences with audio, the chinese characters and pinyin. Its great for practice speaking sentences and also remember the words in context, which is by far the most effective language learning trick you can learn. Here is Anki’s official website, very worth to get it. When you get to the stage of learning how to write Chinese characters, Skritter is a good way to start. It will help you to memorize the stroke order correctly, so you will be able to write each characters like a native Chinese learner. But, if you have a Pleco already and have installed the Character Stroke add-on, you really do not this application. What I do not like about it is the $15 a month cost for a app that can only teach you to write. Well, they have free trial, so you can check it out and see. I used it only to learn the Chinese Kangsi radicals, which are the building blocks for all characters used in Chinese language. You can go on and get the trial on their website here. Like I said, there are hundreds of tool, thousand of books, but these are really the only tools you will ever need. At least for couple of years. Why I have chose these tools is very simple. They do use words that are used frequently in daily conversations and interaction with Chinese speaking people. So I do not waste time learning words that are used not as much. Because the only goal you should have is to be able to communicate the language, not just know something, but are not able to use it. I hope you found this article on learning Chinese useful and I wish you good luck on your own journey to fluency in Mandarin. I know you can do it. If you hve any suggestions or want to ask something, you can just leave comment below and I will try my best to find the most relevant answer to you.